The constant loading and unloading of pallets can compromise the strength, stability and integrity of any storage system which is why they need to be inspected regularly for signs of wear and tear. Our Rack Inspection service provides a comprehensive audit of your beams, uprights, frame bracing, floor fixings and lock-in clips. As the inspections are carried out in typical operational conditions, the inspectors also check that it is fit for purpose. At the end, they issue a report on any damage, and provide advice on how it can be fixed. We offer Annual and Weekly inspections. Load signs for each rack stating its maximum capacity. In addition to the annual inspections, weekly visual inspections are required. These must be carried out by a competent person. We can provide this service or train your own staff to do this. 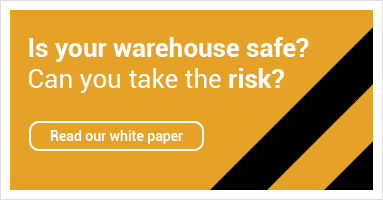 Accidents happen in any warehouse, but regular inspections will minimize the number and impact of them. Our rack inspectors offer a convenient, comprehensive and cost effective way to keep your warehouse safe.